Robert Young Pelton, a professional adventurer, and his team of international war correspondents have updated this indispensable handbook for the intrepid adventurer-- a "how-to" in getting in and out of the world′s hot spots. We are living in a dangerous world, and now more than ever people want to know what is going on where (and why). 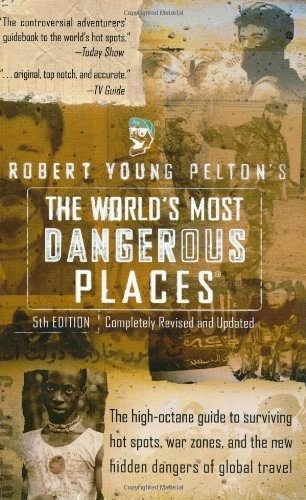 Featuring 25 countries, The World′s Most Dangerous Places, 5th Edition offers a brief up-to-the-minute history of each nation, provides tips on how to get in, out and around safely, and uncovers their dangers, from diseases, land mines, and kidnapping to mercenaries and militias. Completely revised, this edition has a number of countries who have been added to the hot list. With firsthand accounts of breathtaking adventure in each country, the book also provides the latest indispensable information on contacts for nongovernmental and rescue organizations, environmental groups, political activists, training schools in outdoor survival, commando techniques, and other potentially life-saving advice.